Obtaining the right green card can be a long and daunting process, but it comes with an incredibly rich reward: long-term residence in the United States. If you are seeking a First Preference Employment-Based EB-1 green card, you are luckier than most who want to immigrate to the United States because you have specialized skills that benefit the nation, and your application process will be quicker and is much more likely to be successful. Law Office of William Jang, PLLC is here to help people in the Austin area secure their EB-1 green card. We understand the challenges you may be facing on your path to citizenship, and we want to make the process easier for you. We’re dedicated to providing the resources and assistance necessary for your application, making it as strong as possible and getting everything right the first time to ensure that your green card application is successful. If you want an experienced, understanding, and compassionate team of Austin EB-1 lawyers on your side, contact Law Office of William Jang, PLLC at (512) 323-2333 or email us today for a free consultation about your case. U.S. immigration laws are notoriously complex, and the process can quickly become frustrating to anyone without experience, especially if they’re not currently in the United States. With the assistance of a qualified green card attorney, you have the best chances of getting the immigration status you desire. A good lawyer will be able to anticipate and mitigate delays in your application, help you with court proceedings, and make sure that you have all of the necessary documentation ready to go during your application. We can help you get your application right the first time so that the process can go as quickly and smoothly as possible. Without a lawyer on your side, you are gambling with your future. 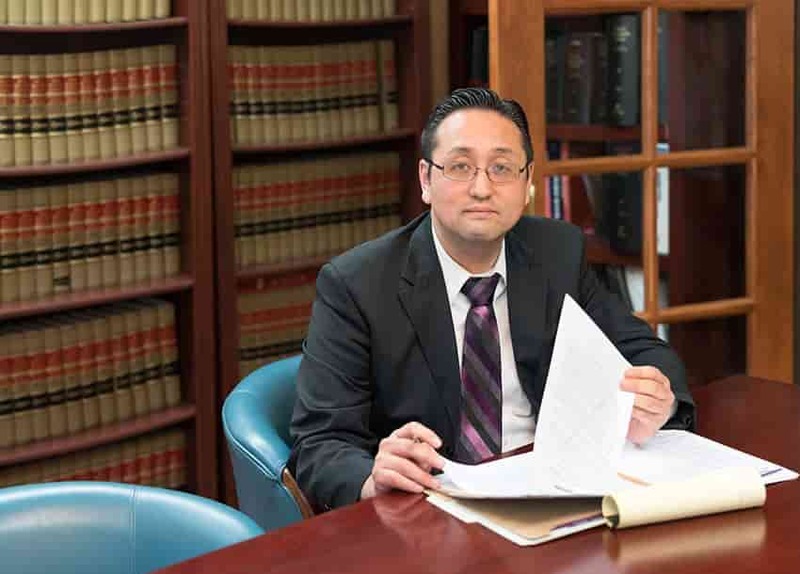 Why Choose Law Office of William Jang, PLLC? With such a critical outcome riding on the success of your case — your future in a new country — it is imperative that you choose the best green card lawyer. Law Office of William Jang, PLLC is your top choice of Austin immigration lawyers. Our lawyers are experienced in cases just like yours, so we’re more than qualified to handle your case, and we’ve earned a great reputation in and around Austin through our successful casework. We’re dedicated to helping everyone have the chance to live the American dream and are thankful for every opportunity we get to help a client secure a good future for themselves and their family by securing an EB-1 green card. With experience working with both individuals seeking an EB-1 and companies who are seeking an EB-1 on behalf of their employee, we know every step of the process for people who are seeking EB-1 green card status in any profession and any category. Our rigorous approach to your case ensures that we get every detail right the first time; we go above and beyond, making sure that your concerns are always addressed and you are kept up to date on the status of your application at every step of the process. We’ll assist you in any way possible to guide you through your green card application. International Transferee Executives and Managers: This subcategory refers to managers and executives who are looking to come to the United States to start a new office or business or to those who are employed by a reputable international company and are being transferred to the United States. Extraordinary Workers: Extraordinary workers have evidence of superior abilities than American job applicants in the fields of art, science, business, education, or athletics. Typically, there must be proof of such skill provided in the application process. Outstanding Professors and Researchers: Highly acknowledged scholars or scientists in their fields who are coming to the United States for a research position at a scholarly institution receive their EB-1 under this category. A lawyer can help you determine which category to apply under. Of all employment-based options for green card applications, the EB-1 is one of the fastest ways to obtain permanent United States residency. Every year, 140,000 applicants are granted green cards under the employment-based category of green cards. Currently, the United States utilizes a per-country cap to limit the number of EB-1 green cards issued, with each country allotted an amount equal to 7 percent of all green cards available each year. The First Preference EB-1 is fastest of all employment-based categories. With its designation as “First Preference,” this category of employment-based preferences is given a significant advantage over other employment-based categories for application. Critically, Labor Certification (PERM) is not required for EB-1 First Preference applicants. Additionally, the highly-skilled foreign workers (with the exception of workers from India and China) that fall into this category have been allowed to file their petitions and applications for EB-1 designation immediately, without having to wait for numerical availability, since 1990. As the United States is likely to continue to give preference to these highly skilled and desirable workers, the immediate availability that EB-1 designation affords applicants is likely to continue for foreign workers from applicable countries. To learn more, contact an Austin immigration lawyer and discuss whether you may file for EB-1 First Preference – Employment Based Immigration. For individuals who receive EB-1 First Preference – Employment Based Immigration status, their spouse and children, so long as they are unmarried and under 21, are also eligible to receive green cards should they choose to accompany the main beneficiary of the EB-1 status. The Austin legal team at the Law Office of William Jang, PLLC, is well experienced in the representation of both companies and individuals who are attempting to secure EB-1 First Preference Employment Based Immigration Permanent Residency (Green Cards). We’re dedicated to your case from the moment you contact us until the day your EB-1 green card is granted, keeping you informed throughout the entire process. To contact one of our Austin-based immigration lawyers today, please call (512) 323-2333.